Please do appreciate & respect the years and efforts spent by these amazing institutions & individuals in collecting the presented rare historical material. Our history has never looked better. For usage, please read all clauses mentioned on their sites and ask for permission. It is not so difficult to get it. PARI is both a living journal and an archive on the People of Rural India. Portal for Access to Archives and Learning contains the reference media of more than 2.5 million files held by the National Archives of India. 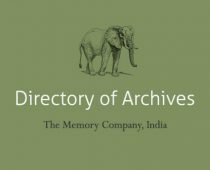 Asia Art Archive (AAA) is an independent non-profit organisation initiated in 2000 in response to the urgent need to document and make accessible the multiple recent histories of art in the region. Possibly the richest source of book-related design and illustration from all over the world. A repository and catalogue of films from India and the world – documentaries, fiction, shorts & animations and experimental.